My pretty tulips for Mothers’ Day. Mother’s Day is bittersweet for me since losing my Mum. The excessive marketing that goes with it is quite overwhelming at times. I wish the marketeers would consider those of who have lost our Mums and those who long to be one. 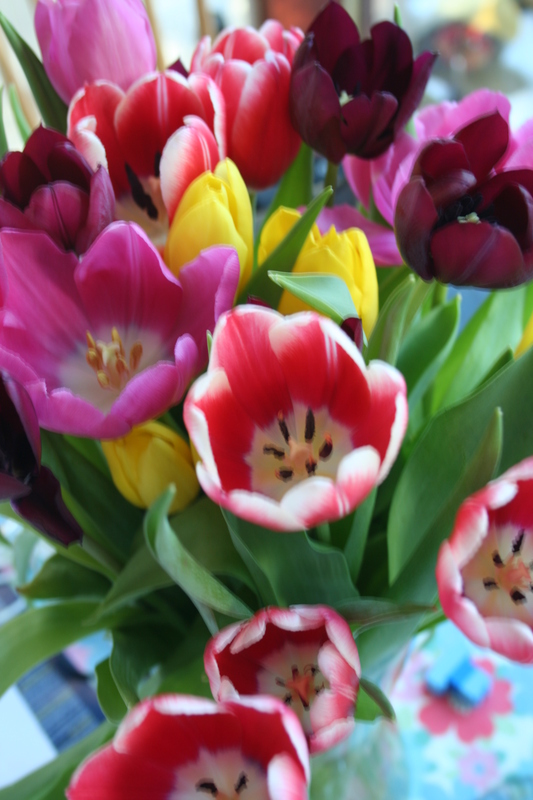 Tulips are so beautiful, the colours of these ones are lovely.